It was impossible for me to get comfortable in Tucson. My mouth had become a dry, hollow pocket since I’d left the airport and the buckle of the seatbelt had seared my fingers when I’d picked it up. I could feel the sweat evaporating off my skin and being swallowed up by the thirsty, dry air that streamed through the window in a cruel imitation of a cool breeze. The strip-lawns out the window in front of rows of low-rise buildings were tan, with dry dirt and rock lawns rather than grass, and staccato intervals of short, bushy plants. 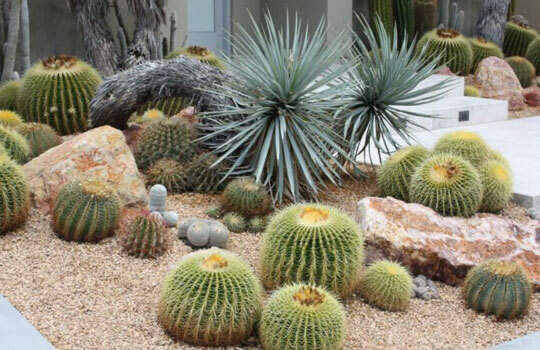 Interspersed were ample cacti, which I remembered from my visits as a child. Though I felt kind of kitschy as I stared at their scrubby little figures, the wide-eyed awe I’d felt while gazing at them as a child, wondering if I dared to touch one, was still there. Their shapes were a stark contrast to the pine trees with ample thick boughs and crooked silhouettes that I saw every day in my Minnesota home. I looked over at my dad in the driver’s seat. At first I thought he was frowning, but I realized he just looked tired. His skin had wrinkled out a little since last Christmas and his hair was steadily graying itself towards white, but he still had the lanky, boyish figure and slouch that had been immortalized in my baby pictures, glossy and fading images of him tenderly cradling me. I didn’t remember any Tucson stations, and, frankly, my early-onset heat exhaustion was far more crushing than any sort of boredom. I popped the button to turn the radio on and began clicking the scanner, hanging in the limbo between scratch-fuzz feedback and unintelligibly nimble Spanish talk radio. I left the radio on an Oldies station that was playing Beat It by Michael Jackson. To be honest, I had no idea if my dad liked Michael Jackson. When he visited for my twelfth birthday, a 75-degree Minnesotan midsummer day, he presented me with an iPod pre-loaded with every Bob Dylan album ever made. I fought to mask my deep internal disappointment until he proceeded to show me how to load my own music on using my mom’s computer. It took me until I was about sixteen to actually click on Bobby D, to make his songs worth their space. Bob had played in the background of my childhood as my parents picked me up and spun me in circles in the living room, chased me around the hardwood floors in wool socks, sliding, and made me pancakes shaped like stars and mouse ears. It took years of spacing and aging, though, for me to parse out and appreciate Dylan’s virtuosic shaping of words, starting with the lingering embrace laced with sorrow of Don’t Think Twice, It’s All Right and the vitriolic assertion of Positively Fourth Street. Intrigued, I moved on to deeper cuts, and freshman fall, I enrolled in the Bob Dylan course at the University of Minnesota. The CD in my dad’s center console today was by some folk-looking group I’d never heard of. “I was thinking we could just stay at Grandma’s old place instead of mine, is that alright?” he asked. I said yes; I didn’t have any attachment to the physical space of my dad’s. My visits to Arizona had dwindled over the years from about four visits a year; Christmases, Easters, and weeks in the summer; to a single annual trip as I got older. I honestly didn’t recall the last time I’d set foot in his house. Middle school? He’d started coming up to visit me in Minnesota more often, staying in the dumpy Super 8 Motel in the shipping district to spare us all the discomfort of his post-divorce interactions with my mom: sometimes just stagnant and uncomfortable, sometimes more caustic. He’d flown up to help me move into my dorm at the University of Minnesota two falls ago. I felt like I was re-entering his corner of the States too late, the way I let many of his letters and emails sit unopened as I turned on Netflix or cooked scrambled eggs after a morning run with my mom. As my dad had separated from me, he had only grown closer to my grandma. The two lived very near to one another, and I pieced it together that my dad had started visiting her on a daily basis long before she needed his aid to take baths or prepare meals. As we pulled into her driveway, I looked up at her house. The stumpy single-story home had those red, curved shingles that Northerners like myself tie by stereotype to Southwest culture, the kind that we see pictured on tortilla packages. The building itself, though, was brick, creating a funny clash of reds and off-reds verging from gray-tinged to pink. A lone cactus stood sentinel in the front lawn, and some brushes and trees were tucked off to each of the house’s sides. “Can I help you carry your bags?” My dad asked me, looking back as he opened his door. “No thanks, I’ve got it,” I said, pulling my duffel up from the backseat by its strap. He led me to the door at a trudging pace, unlocked and opened it, and ushered me in. Eight or ten sets of themed salt-and-pepper shakers sat on the first counter, windmills intermingling with frogs and snowmen and ears of corn. Their gaudy colors taunted me. This was exactly what I’d been afraid of. Ceramic children in overalls with maudlin big blue eyes and eerie pudgy bodies played baseball and did schoolwork on cheap china plates in display cases on the walls. Stacks of themed napkins covered the kitchen table, and boxes heaping with Matchbox cars and Lincoln Logs filled the room’s corner. I felt myself wince when I saw an exercise bike obstructing the entrance to the living room, flanked by filing boxes overflowing with stacks of papers. My horror must have been evident to my dad; he looked embarrassed as he kicked his shoes off. He checked his phone. “Yeah,” I said, nodding too quickly and letting him lead. The house was a scene out of a cable show about hoarding. My grandmother had filled a room entirely with toys she must have assumed would gain value as they became rare, from stuffed animals to action figures, all still in their packages, collecting dust. Board games never opened and stuffed bears never hugged. Each of the two tiny bedrooms was cluttered with shirts hung from makeshift clotheslines, stacks of filing boxes, small tables, and, in one, an ironing board kept unfolded in the room’s exact center, topped with an iron standing up as if waiting at the ready for its next shirt. Kitschy artifacts were a recurring theme through each room—paintings of horses and crosses and rocks, hearts and stars made of horseshoes, Día de los Muertos shot glasses filled with browning toothpicks, ceramic bowls in pseudo-Navajo patterns, gathering dust over the Wint-O-Green lifesavers they still held. The smell of decomposing cardboard in the living room was downright pungent. There was no floor. Stacks of boxes, empty cans and bottles, mugs and tools still in their packaging, board game boxes, an unplugged refrigerator, and piles of Arizona Daily Stars and Minnesota Star Tribunes with newsprint fading surrounded my feet as I took a desperate peek out a window to see light. “Oh, Dad,” I whispered aloud. I had made the journey Southwest on a mission to clean. My grandma had passed away last summer, and my dad wanted me to help pick up her house and organize the estate sale. He hadn’t told me about her passing right away because I’d been on a canoe trip with my friends on the day itself, and he’d waited awhile to Skype me and tell me when I returned. Even on my grainy laptop screen, I could see the shock and pity on his face when I’d erupted into tears upon hearing the news. “How could you not tell me?” I remembered croaking through tear-choked breaths. He stared back, surprised and helpless. My grandma was likely the main reason my dad returned to Arizona after calling it splits with my mom. For this reason, though, I used to see her only a few times a year, and at the time of her passing, had been in far less contact with her than the occasional calls I gave to my dad. She sent me well-meaning teddybear cards with enclosed five-dollar bills for my birthdays and holidays, and when I’d visited her as a child, she’d brushed my hair in long, smooth strokes. She’d always wanted a daughter, my dad had told me. He was her only son. Looking back, I see that perhaps I felt excluded. Betrayed when he left my side almost instantly upon splitting with my mom, ignored because it didn’t seem important to inform me of her death nearer to its time of occurrence. And now, I realized, I’d been excluded from eight years of telling him to get the junk off the living room floor, from helping him cure his middle-aged solitude and help his mother maintain composure in her old age. I looked into one of the boxes on the utterly unsittable couch. It was full of purple envelopes, each with my name written in my own childish scrawl in the return address corner. The recipient’s name was simply Dad. “Leah, you should put your stuff in the room so we can get started on some cleaning,” my dad said, swooping to hand me a glass of water. Was my presence next to the stuff making him uncomfortable? I paced down the home’s lone small, carpeted corridor and into the back bedroom. The bed was clear, but every other flat surface, from the dresser and bedside table to the edges of the floor, was lined in the most gauche assortment of figurines imaginable. I set down my bags next to the bed and made eye contact with a porcelain-skinned Virgin Mary, draped in blue cloth and cradling her sleeping blonde boy. Next to Our Lady stood a Joe Mauer bobblehead, proudly bearing one of the premier logos of athletic mediocrity, the Minnesota Twins, across his jerseyed chest. To Mauer’s left stood a figurine of Ringo from the Beatles. I could feel tiny bits of dust in my nostrils every time I breathed. I kept suppressing the urge to gag. As I paced back down the hallway, I was confronted with the simultaneous need to say something and the overwhelming truth that, in all of human vocabulary, there was no good way to say it. My dad hung onto things. In kitchen, I saw the paper hand-turkey I had made in second or third grade with a picture of my dad, Grandma, and myself taped in the middle, still hanging from the fridge, faded and wilted. Tiny Me had smiled up at Grandma every time she came to get milk or jam or fruit for over a decade. We didn’t open the small hatch to the crawl-in attic to end our tour. Rather, we each sunk into a La-Z-Boy draped with too many blankets in the living room and stared blankly at the dark television surrounded by caramel-corn cans and soda crates. “Is the living room that bad?” He asked. He looked genuinely curious. “No smoking in the house,” he added. I bit the edge of my lip and stared at the giant popcorn tin supporting a phone and an ashtray of toothpicks nestled beside my chair. Clydesdale horses paraded through snow around the tin’s exterior under a dark, starry painted sky. “Oh, shoot, yeah,” he replied. “I’ll grab you a cup from the kitchen.” Moments later, there was an Arizona Wildcats commemorative plastic cup proudly emblazoned with the year “1987” in my hands. I downed it quickly, terrified by this new dimension of belongings I had just unlocked: I’d forgotten that every cabinet and chest was full of stuff, too. “Let’s go down to the basement,” I said, plunking my cup on the Clydesdale popcorn tin and standing with manufactured gusto. To my great relief, my dad followed without question when I bounced towards the stairs. Standing at the mouth of the basement on the bottom step was like staring out into a choppy sea of wood and plastic. We stood side-by-side, our shadows stretching forwards in the light that poured down from upstairs, both of us unsure of what move it would be possible to make without drowning in junk. “Different. It’ll save time. We can work our way out from the center here.” My dad knelt down by a box of faded children’s books that sat at his feet. The box nearest to me held several maroon-and-black plastic photo albums. I opened the top one to see a sepia print of tiny blonde boy in a plaid cowboy shirt on a wooden tricycle, erupting in peals of childish laughter. Missing a tooth. “Dad, you were so cute! Look at this picture,” I said, looking up towards the book boxes I’d seen him beside earlier. He was no longer there; he’d already progressed about five boxes back. “What stuff?” he asked, face blank like a small child found with forbidden chocolate smeared on his cheeks. “You’ve gone through a lot of boxes pretty fast,” I said, standing up to survey. “Like, what’s with those Coke cans?” I pointed to the second box back. “Limited edition, Christmas 1999,” he said, as if it was an obvious oversight on my part. He saw me looking at the light at the top of the stairs. “Hold up, do you think you’re gonna get out of cleaning this stuff? Okay. New approach. We’ll go through the same box at the same time.” He looked down at the Coke cans. “Maybe those don’t have to stay.” Eager for something to fidget with, I leapt over the photo-album boxes and retrieved the cans, placing them at the foot of the stairs. He pursed his lips and looked at the box, as if he itched to hold it in his own hands. “Alright, now you’re just being patronizing,” he said, irritably. “Come over here.” The next few boxes all appeared to pertain to Bob Dylan. The first was a milk crate holding an assortment of records. Its neighbor was draped with a T-shirt of the Highway 61 Revisited album cover. I felt my cheeks turn hot, but wasn’t sure if it was obvious in the dim, yellow light. When my hair was greying like my dad’s, would I too be in a basement of dusty crates, snarling about a set of Coke cans? I shifted my weight. “I’m actually going to use this, though. I’m gonna wear this.” I was justifying the repossession to myself just as I was to him. Would I wear it to class? Out? How many shirts does somebody need? My dad reached out a hand for the shirt, and I gave it over. “It is pretty cool,” he said. “Yeah, you should keep it.” He handed it back, and I threw it to the base of the stairs. “Sounds good,” I said warily. He had left a lot of Dylan albums with my mom and me, but something told me he’d listened to some serious Bob in the last fifteen years, and the dust atop these records was as thick as a flannel bedsheet. “Look at these GI Joes! I played with these all the time as a kid!” With each hand, he lifted a camo-clad, stiff little man brandishing a weapon from a nearby box. “Yuck, NRA Barbies,” I mumbled. I reached out a hesitant lone finger to touch the doll’s head. “Lil felt cap.” My frown unravelled into a lopsided smile. “Wow, it’s just like real hair.” I snorted a laugh. My dad stood up and surveyed the cluttered landscape. “Back here.” He pointed to a stick pony. He had to lift his knees like he was wading through a swamp to make it through the boxes and reach his trusty steed of old. Watching him move, I was awash with how much work we had left to do. I let out a massive snort, though, when he tried to squeeze into a tiny, fringed vest from the top of a nearby box, and placed a stiff brown hat barely the size of his face atop his head. “Okay, but what about these boxes, though,” I said, realizing I had sat down. Though my stomach, raised in staunch Central Time, still thought it was 4:30, I agreed and followed him upstairs. “So, you’re still liking school this year? Classes going well?” He asked, flipping the sandwiches on the pan with a spatula. The buttered bread sizzled merrily and I could see some tuna and cheese drip out the side of the front-burner sandwich. The counter by the stovetop was populated by a mob of stacked vegetable and tuna cans, plus a blue-and-white china cat that stood sentinel next to my dad’s right elbow. “I love it so much,” I gushed, going on to tell him about the spring internship I’d landed in the school’s art museum. We’d occasionally Skype or talk on the phone during the school year, but for the most part, it was my mom who heard my tiny success stories, my weekend outings with friends, and my sleep-deprived croaks as I struggled through papers. My dad had fielded one stress-call to me, at four in the morning during freshman year. I knew his time zone lent to him being up long before myself, and, with a tear-streaked face, I’d called him at (my) four AM, six hours before my first calculus exam. He’d seemed surprised, stuttering his first responses to my phone-muffled sniffles, but talked me calmly through a snack and a study strategy before hanging up. He texted me a half-hour later to see if I was alright, and to remind me to get some sleep. I don’t think I replied. Fortunately, this was not his full image of me in college. He and my mom had both been initially wary when I’d decided to change my major from biology to studio art, but my dad had warmed up to the news pretty well. He’d asked me for prints of some of my drawings to hang in his home. When he brought our plates over to the table, I had to move several stacks of seasonal napkins to the floor to accommodate for the simple fact of our meal. “Can I just throw these out?” I asked, placing turkey-and-fall-leaf napkins on top of ones punched in the shape of Valentine’s Day candy hearts. “No, we can save them for their holidays, and then we won’t have to buy new ones,” he replied simply. I shrank in my seat, unable to lift my sandwich or even look up, rose to my feet, and left. My hands shook by sides as I walked to my bed, and I had to grip hard to pick up the book I’d brought to read. Unable to focus, I fell asleep with my headphones over my ears, gentle chords unable to settle my uneasy stomach. I awoke hours before my dad the next morning, bedsheets tossed onto the floor by my overheated, sleeping subconscious. Padding to the kitchen with feet sticking to the hot floor, I listened for my dad. Still asleep. I poured myself a glass of water and retreated to my bed, pulling my laptop and a notepad in beside me. Plastic Yoda and Jar-Jar Binks watched over my shoulders from atop the headboard. I nodded and opened my laptop back up. I was listening to my musical security blanket, my musical hug, The Freewheelin’ Bob Dylan. No matter how old I got, every softly ringing pluck of a string or jangling chord, every wavering vocal note, reminded me of being picked up and spun in the air by my dad, of flopping across the backseat on the way home from the lake with him driving me steadily home. I let the contents of the notepad and my Google Chrome become visible. I was looking at Estate Sale professionals in the Tucson area. “Whatcha got there?” My dad said patiently, as if I was drawing something in crayon at the kitchen table. I watched him stiffen up and bristle as he saw the notepad’s heading, and the growing list of phone numbers below. I looked up at him, being sure to make eye contact. “I don’t think we can do this alone. The house thing. Not even in more than three days.” He averted his eyes, staring instead at the Mickey and Minnie Mouse figurines at the foot of the bed. “I know everything there means something to you, and I don’t really know what, but I think you should go through, take the things that mean the most to you, like, a few things, and we hire someone to sell off the rest.” I stared down so I didn’t have to see him leave the room, but I heard the stomp in his steps. I laid back and let Bob sing to me. For the first time since my preteen Top 40 rebellion, the music seemed grating, with searing harmonica slides and crunchy vocals. I shut my laptop with my foot, drank the last sip of water from my cup, and hurried to the kitchen to find my dad hunched over the stove, flipping pancakes, a plate of burnt-black ones on the counter at his elbow. When he heard my footsteps, he turned around, his face red. I couldn’t tell if he’d been fuming with anger or crying. There was a plastic shopping bag on the counter. He’d bought something. I silently prayed that it was just food. Wordlessly, he flipped two browned cakes onto a clean plate and held it out to me. There were already two forks on the table, a bottle of that sugary plastic fake maple syrup, and a jar of peanut butter. He’d remembered that I like to eat pancakes like peanut butter toast. I hung my head as I accepted the plate and dragged my feet across the hardwood floor to the table. A minute or so later, he sat down across from me at the table. “Do you remember me singing Corinna to you as a baby?” he asked, not looking up as he speared a cake with his knife and began to slice. “I think of you every time I hear it,” I replied.